The European Committee on the Prevention of Torture (CPT) has published a report recommending that the UK reconsider its policy of indefinite immigration detention. The CPT stated that “it remains concerned by the number of persons detained for lengthy periods in immigration removal centres. Indeed, the negative impact that the open-ended nature of detention caused in individuals was noticeable to the delegation when it held interviews with persons who had been in IRCs for more than a year. Further, the long periods of uncertainty exacerbates mental health issues”. In its response, the UK government disagrees with the CPT’s recommendation and states that there are no plans to introduce a fixed maximum time limit for immigration detention. The UK government response further states that “Although there is no statutory maximum period of immigration detention in the UK the power to detain is used only as a last resort and for the shortest period necessary. All decisions to detain are taken on their individual merits”. It argues that “To be lawful immigration detention must be based on one of the statutory powers in the Immigration Acts and accord with the limits implied by domestic and ECHR case law” and that detained persons can apply to a judge for release on bail or to challenge the lawfulness of their detention. Regarding the detention of children, the CPT noted that the number of children in immigration detention in the UK had dropped significantly between 2009 and 2012, when its visit was carried out. The length of detention has also been reduced. The CPT welcomed this development and states that it “trust that the UK authorities will pursue their efforts to ensure that the detention of any child prior to deportation is a measure of last resort, taken in the best interest of the child and for the shortest possible period”. 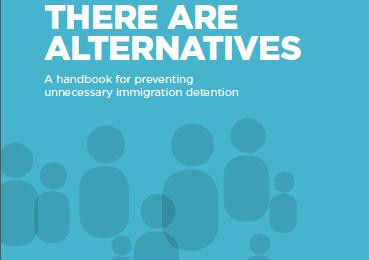 The CPT report makes a number of specific recommendations regarding treatment, conditions of detention, induction and removal and healthcare issues in Colnbrook and Brook House Immigration Removal Centres. The UK policy of indefinite immigration detention, or detention for indefinite periods without time limit, has been heavily criticised by civil society. 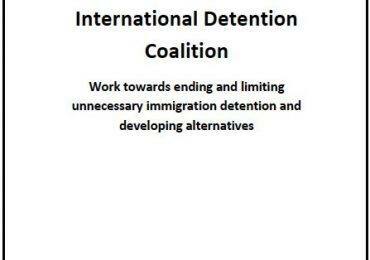 In its report No Release No Return No Reason: challenging indefinite detention (2010), IDC member Detention Action demonstrates that the indefinite detention of migrants who cannot be deported is ineffective, inefficient and enormously damaging. The CPT’s report and press release, and the response of the UK authorities. Detention Action, Indefinite detention briefing (2012). A short briefing outlining the issues surrounding detention without a time limit. Detention Action, No Release No Return No Reason: challenging indefinite detention (2010).